Paddle, snorkel, swim in ‘world’s best’ tropical paradise. 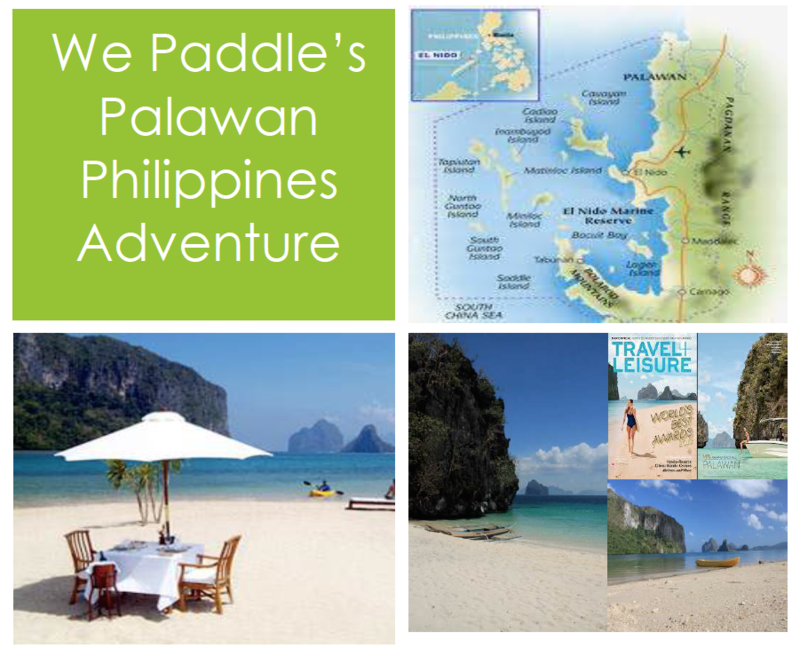 From April 4th – 11th 2015, We Paddle is proud to offer a fully guided paddling adventure amongst the numerous islands of the exquisite Bacuit Archipelago of Palawan Island in the Philippines – recently chosen as the cover destination of Travel & Leisure magazine’s “World’s Best Awards”. The crystalline waters of Bacuit Bay are a fantasyscape of jagged limestone islands, mesmerizing from any vantage point – whether from the water, underwater, the air or lying on a beach. The islands hide so many white-sand beaches, lagoons and coves; you’ll love exploring them!